Open daily until 24 November. We will be closed on Monday 4th February. Visitors with a valid B&NES Discovery Card are eligible for 50% off admission. The Museum of Bath Architecture is located at the Countess of Huntingdon’s Chapel which is accessed via a raised pavement from the Paragon. From the raised pavement there is level access to the exhibition space. The nearest publicly accessible disabled toilet is located in the Assembly Rooms which are run by Bath and North East Somerset Council. From No. 1 Royal Crescent to the Museum of Bath Architecture. Proceed along Brock Street into the Circus and exit left into Bennett Street. At the junction with Lansdown Road turn right and cross turning left into Hay Hill and at the bottom left again into The Vineyards, which is part of The Paragon. The Museum of Bath Architecture is on the left-hand side. Approximately a 10 minute walk. 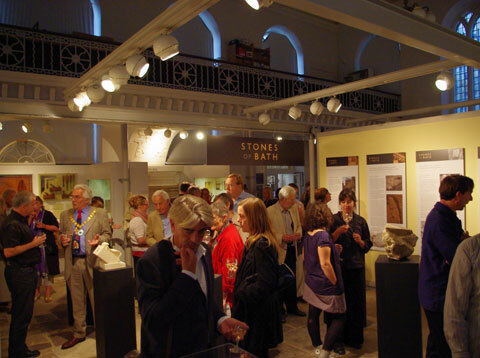 We are delighted to welcome groups at all four of the Bath Preservation Trust museums. Our new Group Visits leaflet is here. So that we can ensure that your party can make the most of the visit we always ask group organisers to book in advance. For groups of 10 or more – discounted entry price is £5.50 per person. Group leaders are free. 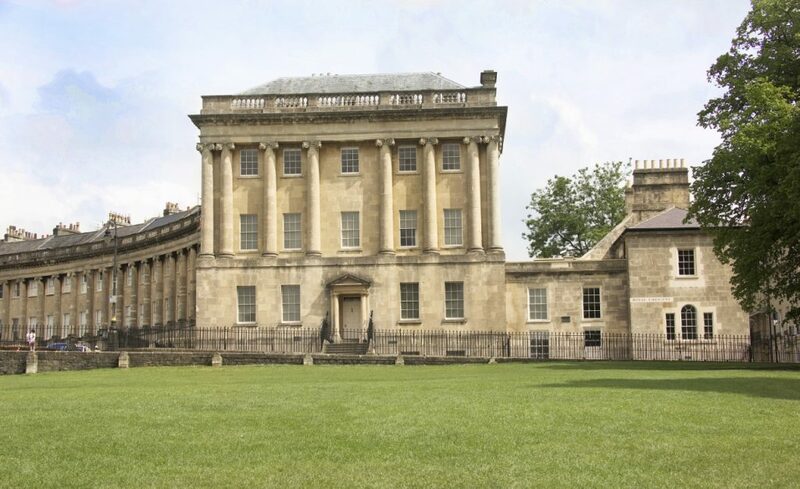 Visits for groups can include a guided tour by the Architectural Curator for Bath Preservation Trust, refreshments (tea, coffee, wine) or an evening lecture on a variety of topics. All talks and tours can be tailored to your specific interests. Please enquire for more details and prices. The nearest coach stop to the Museum of Bath Architecture is on Lansdown Road and visitors walk to the Museum via Hay Hill (5 minutes). Coaches must disembark their passengers quickly and then move on as there is no official setting down point here. For more information on group visits and to make a booking, please contact the Museum on 01225 333895 or via email. For information on visits for School and education group click here. At No. 1 Royal Crescent and at the Herschel Museum of Astronomy at 19 New King Street you can explore life in a Georgian house from one of the grandest addresses in Bath to a more modest home for the ‘middling sort’. Visits to these museums provide a fascinating insight into day to day life in the 18th century and your group can explore how different life was above and below stairs and how many tasks and issues are common to those of today. Useful information – Groups can walk between these museums through Royal Victoria Park. We can provide information on coach drop off points and places for refreshments or lunch. In the 18th century Bath became the most sought after place in Britain outside London and, from the 1720’s, the demand for high quality houses for the fashionable and elite meant the city expanded enormously increasing from a population of c.3,000 in 1700 to almost 30,000 in 1800. No museums illustrate this growth better than the Museum of Bath Architecture, the grand house at No. 1 Royal Crescent, the more modest house at 19 New King Street (home to the Herschel Museum of Astronomy). 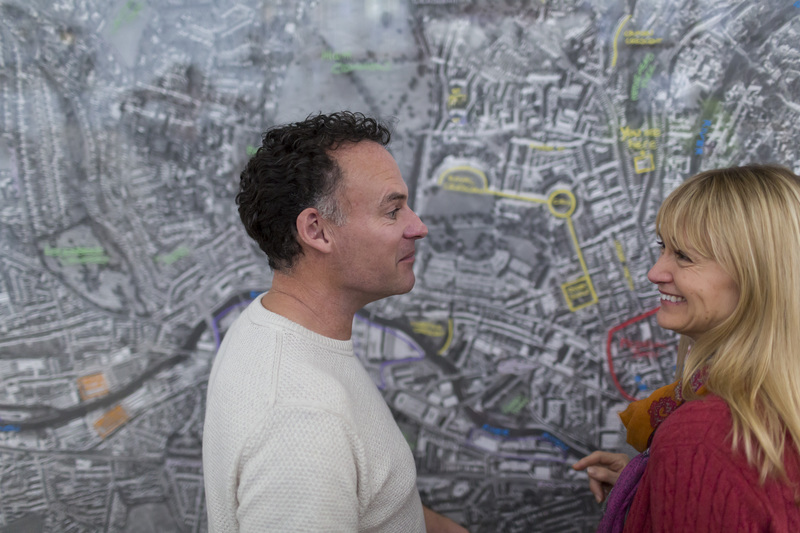 Useful information – Groups can walk between these museums but we are happy to provide a guide to lead them and providing information en route on some of the city’s architectural masterpieces such as The Circus and Assembly Rooms. Please contact us for details on costs. We can provide information on coach drop off points and places for refreshments or lunch. The ideas and practices of the Enlightenment touched Bath in many ways including science, philosophy and culture. In 1766, William Herschel arrived in Bath and the following year he was appointed Director of Music in the city. His interest in astronomy also developed and in 1781, the garden of his home in New King Street became the site of the discovery of the planet, Uranus. This was a major event which rocked the astronomical community and brought Herschel immediate recognition as a serious scientist. The prolific collector, William Beckford, arrived in Bath in 1822 acquiring a house in Lansdown Crescent and the land behind to construct a mile long ride with beautiful gardens to the hill’s summit where he built a remarkable 120 foot high tower with far reaching views of the countryside to house his collection. Visits to the Herschel Museum of Astronomy and Beckford’s Tower will provide an insight into these two fascinating men of the Enlightenment and their lives in Bath. Useful information – Groups will require their coach to transport them between these museums and coach setting down points will be advised. If required, we can also provide suggestions for places to have lunch and there is the option to add a guide to accompany the group between the two museums. For more information on these tours please contact us via email or on 01225 333895. Museum of Bath Architecture aims to be welcoming and inclusive to everyone who visits the museum, including parents or guardians visiting with babies and young children. Buggy parking is available. Breastfeeding and bottle feeding is allowed anywhere where there is visitor seating within the museum. Should parents require more privacy, please ask a member of staff on arrival who will be happy to assist in finding a quiet spot. Baby changing facilities are situated in the Ground Floor toilet. This toilet is not accessible to wheelchairs. 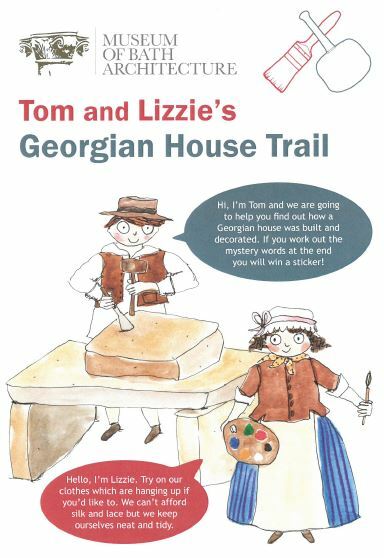 A Learning Trail for children aged 7+ called ‘Tom and Lizzie’s Georgian House Trail’ introduces the key elements of Georgian architecture and design. Cost: £1. Linked Georgian costumes are also available to try on. Building blocks, lego, a craft activity, a Georgian Dolls’ House and a construction table are all available with normal admission. The chapel at the Museum of Bath Architecture is a beautiful space in which to hold lectures, concerts, buffet parties, meetings and conferences. The space is available for evening hire any day of the week. It can seat 65 people comfortably for a lecture, conference or meeting. A buffet party could cater for 100 people. Facilities include a kitchen (no cooking facilities), toilets and a number of tables and chairs. Conference facilities include a screen, projector and flip chart.